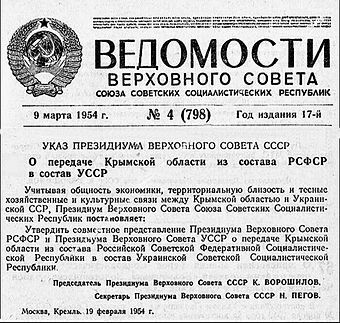 The declaration by the Russian Prosecutor General that the transfer of Crimea from the RSFSR to Ukraine in 1954 was unconstitutional has no standing in international law not only because any such decision is the province of the Constitutional Court but also because it concerns the actions of a state, the USSR, that no longer exists. But that does not mean that it isn’t dangerous, according to historian Boris Sokolov, because at least in the Russian capital today and among “useful idiots” in the West it creates a dangerous precedent that Vladimir Putin might use to destabilize the entire post-Soviet space as well as adjoining territories. Some parts of the Prosecutor General’s “decision” are simply laughable, as for example its claim that “even after the transfer of Crimea, “Sevastopol retained the status of a city of all-Union subordination” is simply not true, Sokolov says, as anyone can learn by consulting the Great Soviet Encyclopedia. The Ukrainian SSR and the RSFSR exchanged territory several times in addition to the Crimean transfer. If the Russian procurator general’s ruling were recognized as legitimate, that would raise questions about all the others because “the decision” is cast in general terms rather than limited to the specific case. 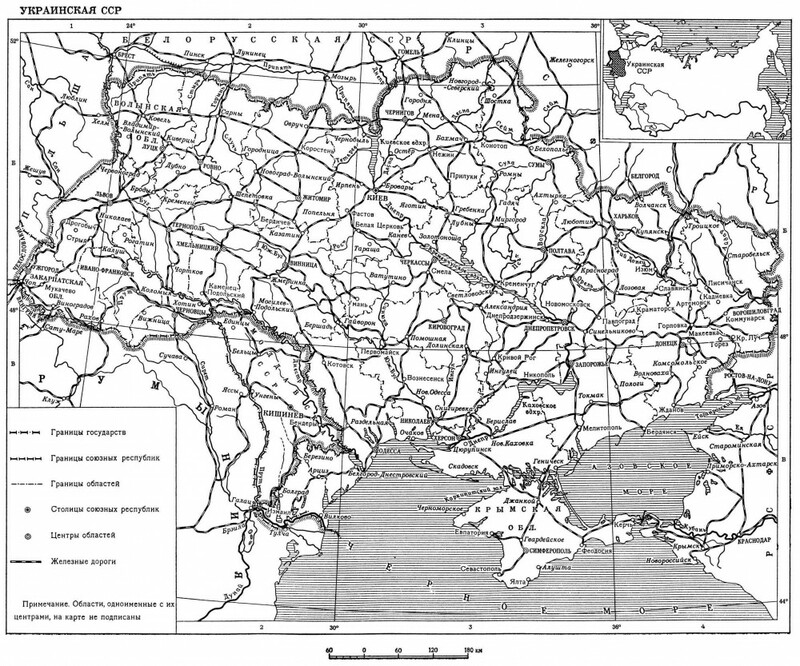 “In exactly the same way,” Sokolov continues, “one would have to recognize as illegal practically all the changes of the territories of the Soviet Union republics carried out in Soviet times” because in almost all cases they were decided upon and implemented in the same way as the 1954 transfer of Crimea from the RSFSR to Ukraine. But it could have even broader implications. If Putin required it, Sokolov suggests, the Prosecutor General would likely declare the 1867 sale of Alaska to the United States illegal as well as the 1954 accord in which Iran agreed to give up claims to a portion of Turkmenistan in perpetuity. Should that happen, “the Kremlin would obtain a pretext ‘to meet the desires of the Russian language population and begin a hybrid war against Latvia or Estonia,” Sokolov points out.